SaudiGulf Airlines – The new full-service national carrier of Saudi Arabia owned by Abdulhadi Al Qahtani and Sons Holding Company (Tariq Al Qahtani and Brothers) – announced the start of its operations to four destinations in Pakistan as part of its international route expansion program. 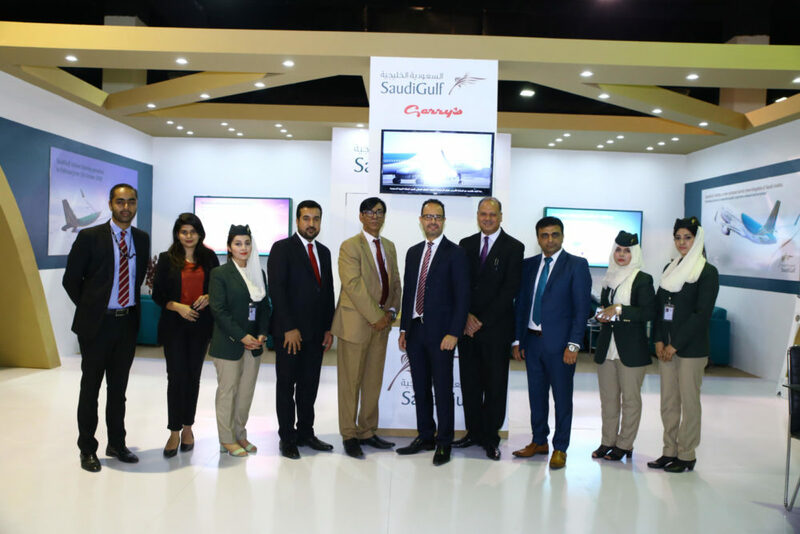 The announcement came during SaudiGulf Airline participation in Pakistan Travel Mart (PTM) 2018. ‘’We are pleased to announce our next international routes expansion starting with four destinations in Pakistan from Dammam, SaudiGulf Airline’s main base in Saudia Arabia. Through our hub in Dammam we will connect passengers from Pakistan across the Kingdom of Saudi Arabia to Jeddah, Abha and Riyadh,” stated Mr. Karim Makhlouf, Chief Commercial Officer, in a statement at a press conference in Pakistan Travel Mart (PTM) 2018 held in Karachi. The full-service airline will operate its Airbus A320 aircrafts to/from Pakistan operating with two class configurations i.e. Business and Economy Class. It will commence direct flights from Dammam to Lahore & Islamabad with a frequency of 4 flights per week as well as 3 flights per week connecting Dammam with Sialkot & Karachi. This strategic decision was taken by SaudiGulf Airlines aligned with the Saudi Vision 2030 to support the expanding growth in infrastructure projects in the kingdom which will ultimately contribute to ease of travel to passengers between Saudi Arabia & Pakistan. Furthermore, the routes shall be utilized to carry passengers from the mentioned destinations in Pakistan across the Kingdom of Saudi Arabia though the Dammam hub connecting to Jeddah dedicatedly to carry Umrah passengers. The decision made by SaudiGulf Airlines to provide convenience of travel to and from the holy city of Mecca as part of its religious contribution as a new national carrier. “We are pleased to add new flights to cater to the growing demand of Umrah traffic out of Pakistan, while also provide passengers with convenient connections via Dammam” Said Mr. Karim Makhlouf, Chief Commercial Officer, SaudiGulf Airlines. Starting operations from the 15th of October 2018, the fares are to start from 40,000 PKR which includes free seat selection, hot meals as well as a personalized customer service.